Some weeks ago, all managers in the Premier League were basically complaining about the lack of transfer activity thus far, most notably Antonio Conte at Chelsea and Jose Mourinho at Manchester United. Fast forward to today and a whole lot has happened since then, and it still continues to happen as we speak. Yes, with most clubs nearing the end of their Pre-Season, some are now scrambling to get everything prepared in the transfer market. Things are most definitely heating up, with managers keeping their ears tied to the latest developments from all corners of the world, but most importantly, at camp Real Madrid, Zinedine Zidane is desperately trying to seal up the world record transfer of 18-year-old Kylian Mbappe for £160 million from AS Monaco. As the notion goes, once you get something in your head, then you must have it. That’s what’s happening right now with Real Madrid manager Zidane, but he has come to learn that with that huge price tag, the board at Madrid may make him sell off one of their top players, which opens up Pandoras box to the possibility of Welsh wide man, Gareth Bale being able to join Manchester United as a consequence of funding the Kylian Mbappe transfer. This is good news for Premier League football, as undoubtedly Gareth Bale is one of the best players in the world, but this news will probably make Manchester City manager Pep Guardiola literally “sh*t” himself. Who else could Pep Guardiola try to sign in order to eclipse the event of Gareth Bale signing for Manchester United? Absolutely nobody. 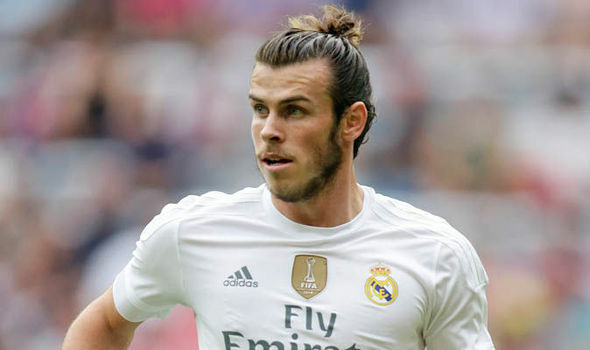 There’s only one Gareth Bale, and if he will go to the Red Devils, this would not only be great for him, but it would also be great for English football. If only Gareth Bale was English, then England would’ve won something in the last seven years, no doubt. Jose Mourinho has been chasing Ivan Perisic, another wide midfielder, but he’s no match for Gareth Bale, so Jose is definitely keeping his eyes on the Mbappe situation with Zidane, ready to swoop in for a reasonably mammoth-scale bid for Gareth Bale (as if Manchester United can actually get him). If that were to happen, they would be serious contenders for the Premier League and Champions League next season, without a shadow of a doubt. It’s clear that Gareth Bale has been a success at Real Madrid, but he was injured last season for a little while and the Spanish fans haven’t always taken to him, which is a bit rude, right? He’s an amazing player, who’s been nothing but amazing for the club, so it makes you sort of wonder about Spanish people in general, or is just the fans of Real Madrid? Who knows? Come on Gareth, brave the showers of the British Isles and make yourself a legend in a town that definitely will want you there, no matter what happens. How many more La Liga titles and Champions League titles do you need from Real Madrid? The Red Devils await you now, and perhaps a Premier League title would be nice too? There’s also the “Number 10 shirt” at the Theatre of Dreams for Gareth Bale to look forward to, should this transfer materialise. Who else could fill that “10” shirt after Wayne Rooney, eh? With players like Paul Pogba, Romelu Lukaku, plus with Zlatan Ibrahimovic waiting in the wings to return in the coming months, plus add Gareth Bale to that, what do you have? Well, you have quite the artillery to conquest in any competition, and it’s clear who’s the special ones behind all this: it’s Jose Mourinho and Ed Woodward, who’ll naturally be very keen to add Gareth Bale to their selection of special weapons on the football pitch. So, it all rests with Kylian Mbappe and AS Monaco and the bank balance at Real Madrid right now. It’s pretty clear that letting Gareth Bale leave will not hurt Real Madrid’s title ambitions, nor their Champions League ambitions in the slightest, especially if they can land Mbappe. Jose Mourinho stated earlier in the week that given the current transfer market, that it’s likely that Manchester United will and can only afford one other player, despite reported interest in a clever one year loan deal for Portuguese teenage sensation of Renato Sanches, who is currently fed up at Bayern Munich. However, the Bavarian club will only let him leave on loan, so that does pave the way for the special one, Jose Mourinho, to still bring in two more players, with Gareth Bale signing up and with Renato Sanches coming in on a loan deal? Fingers crossed that yet more activity in the transfer market develops, as each twist and turn will have a knock on effect in kind, with other teams like Chelsea and Manchester City, who will then need to play catch up, once again. That is if Real Madrid and Manchester United can reach a deal. There’s nothing as exciting as the football transfer market, is there? This summer window is turning into one of the most exciting in history, with big money being flung around, world-class players putting on new strips of kit and the best players considering their futures, and rightly so. We can only wait and see, but watch this space, as this window is well and truly on fire right now! Look below for your home delivery official football kits, ahead of the new season, straight to your door. Nice!